Gold Point was initially called Lime Point for the nearby lime deposits found in 1868. Processing difficulties in the 1880's discouraged silver mining locally. Goldfield ore discoveries in 1902 stimulated area mining interest and high grade hornsilver was discovered here in 1908. 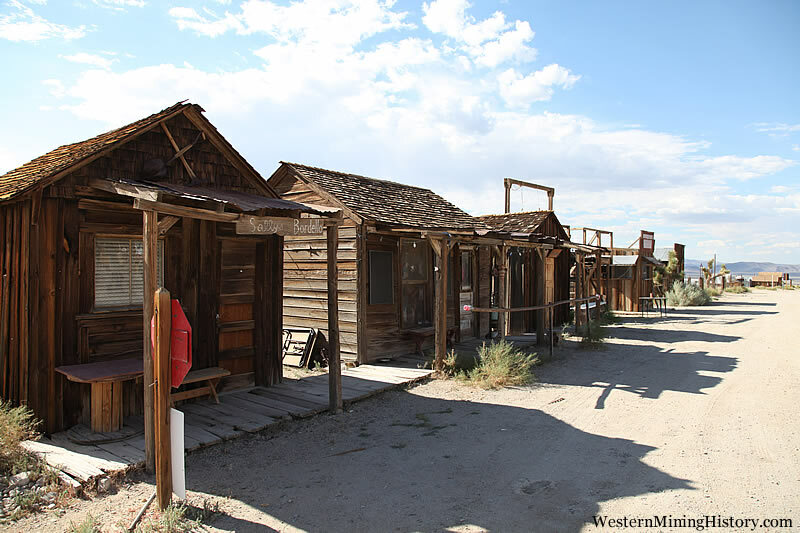 The name was changed to Hornsilver & a typical mining camp development occurred. A newspaper, post office, stores, and saloons began operations, and a town of over 225 wood-frame buildings, tents, and shacks appeared. The camp assumed the name Gold Point after 1930 when more gold was being mined than silver. Miners were drawn away to essential World War II industries in October 1942, and major mining efforts ceased at Gold Point.